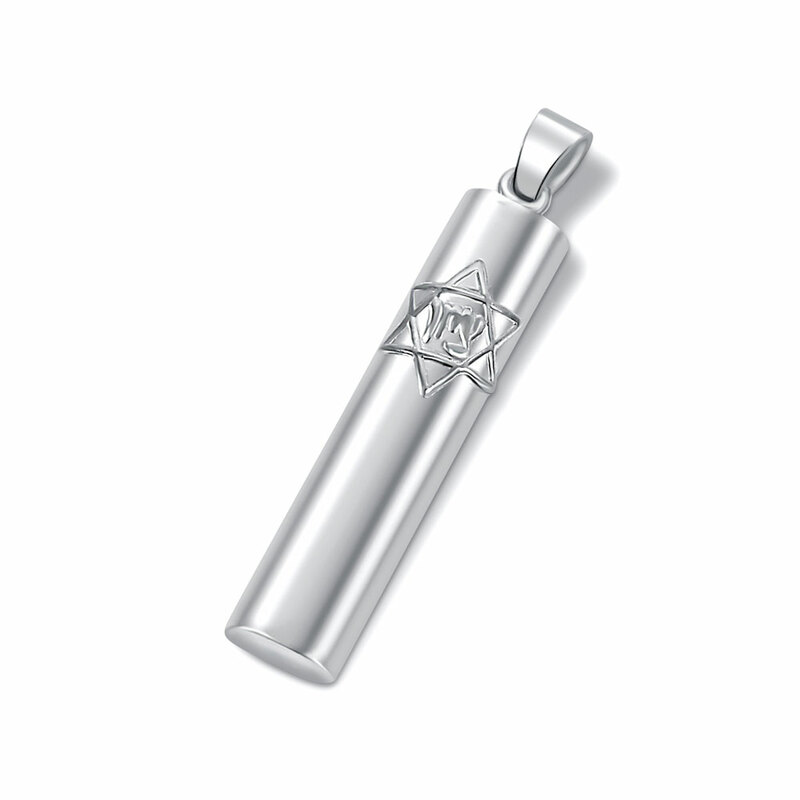 Sterling Silver 925 Mezuzah pendant. A tubular body shape with an appliqued star of David. A traditional classic style which never goes out of style. Measures 28mm H x 6mm W (1.10 x .24 inch), (excluding the hanging loop). Weighs: 1.32 grams.